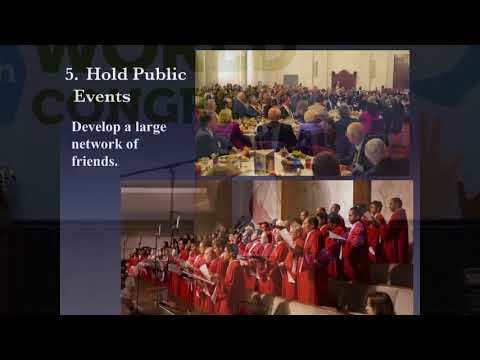 This short video introducing the International Religious Liberty Association was played at the opening ceremony of the IRLA's 8th World Congress for Religious Freedom, August 22-24, 2017, Ft. Lauderdale, Florida. Ambassador Robert Seiple, the first US Ambassador-at-Large for International Religious Freedom, received an award honoring his contributions to the advancement of human rights and religious freedom. 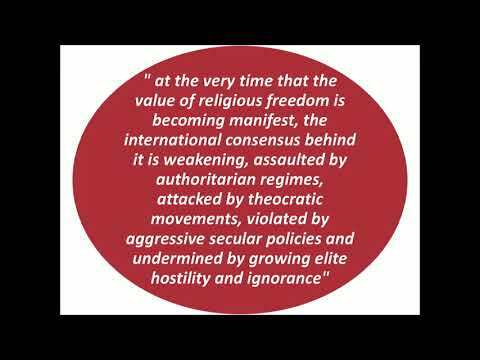 It was presented in absentia at the International Religious Liberty Association's 8th World Congress on Religious Freedom, August 22-24, 2017, Ft. Lauderdale, Florida. 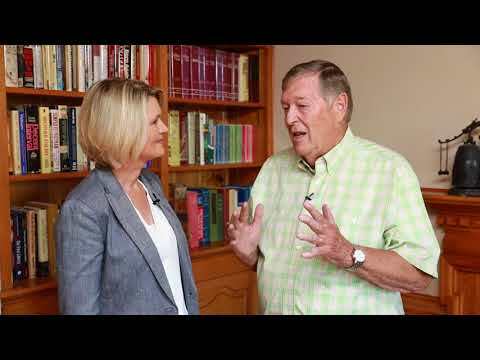 In this interview, Bettina Krause, communication director for the IRLA, talks to Ambassador Seiple about his many years of work as US Ambassador, President of World Vision, and as President of the IRLA. 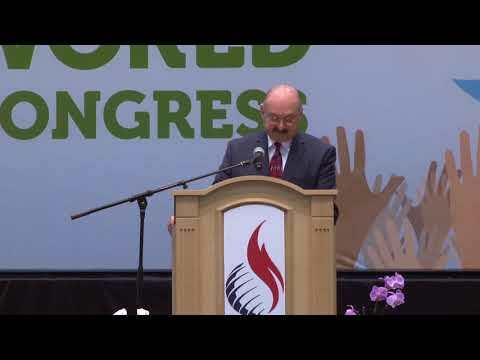 Dr. Ted N.C. Wilson is president of the General Conference of Seventh-day Adventists, a worldwide communion of some 20 million baptized members. Dr. Wilson was a plenary speaker at the International Religious Liberty Association's 8th World Congress for Religious Freedom, August 22-24, 2017, Ft. Lauderdale, Florida. 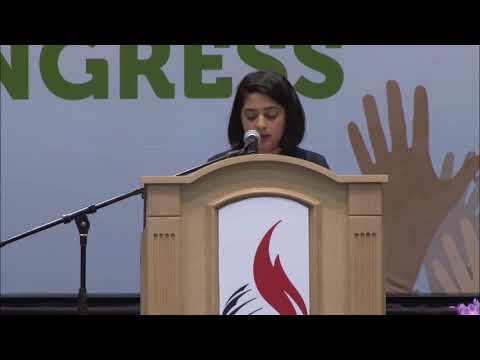 Asma Uddin is the director of strategy for the Center for Islam and Religious Freedom, a nonprofit engaged at the intersection of Islam and religious freedom in both the West and Muslim-majority countries. Ms. Uddin was a plenary presenter at the International Religious Freedom Association's 8th World Congress on Religious Freedom, August 22-24, 2017, Ft. Lauderdale, Florida. 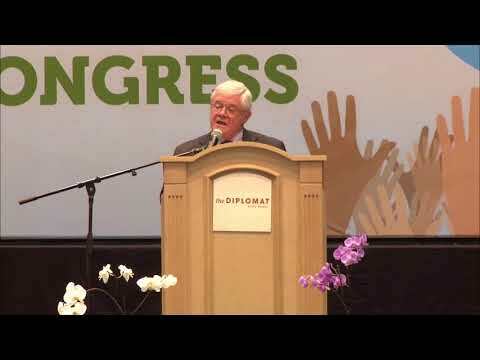 Knox Thames is the Special Advisor for Religious Minorities in the Near East and South/Central Asia at the US Department of State in Washington, D.C. Mr. Thames was a plenary presenter at the International Religious Liberty Association's 8th World Congress, August 22-24, 2017, Ft. Lauderdale, Florida. Marian Gh. Simion is a Romanian Orthodox theologian, academic, and human rights advocate. He is President of the Institute for Peace Studies in Eastern Christianity, Inc., and Field Education Supervisor at Harvard Divinity School. 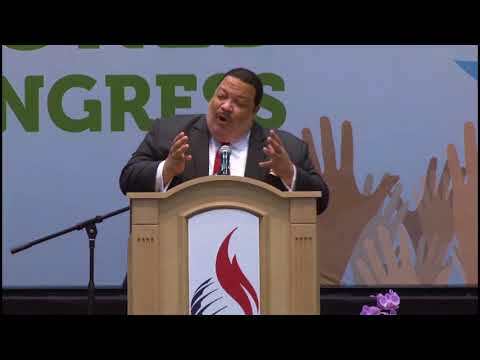 He was a plenary presenter at the International Religious Liberty's 8th World Congress on Religious Freedom, August 22-24, 2017, Ft. Lauderdale, Florida. 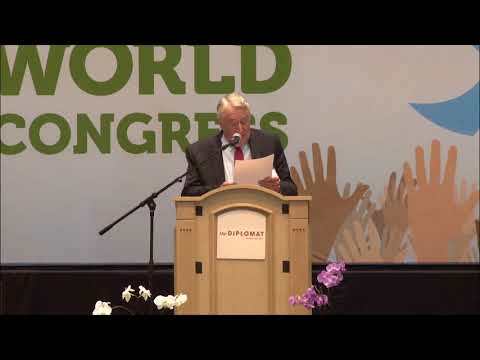 Prof. Dr. Thomas Schirrmacher is President of the International Council of the International Society for Human Rights, and Associate Secretary General for Theological Concerns. He was a plenary speaker at the International Religious Liberty Association's 8th World Congress on Religious Freedom, August 22-24, 2017, Ft. Lauderdale, Florida. Brett G. Scharffs is the Francis R. Kirkham Professor of Law at Brigham Young University Law School and Director of the Law School's International Center for Law and Religion Studies. Dr. Scharffs was a plenary presenter at the International Religious Liberty Association's 8th World Congress for Religious Freedom, August 22-24, 2017, Ft. Lauderdale, Florida. Jaime Rossell Granados is Deputy Director General of Relations with Religious Denominations in Spain's Ministry of Justice. Previously, he was Professor of Law in Church and State Legal Affairs in the University of Extremadura. 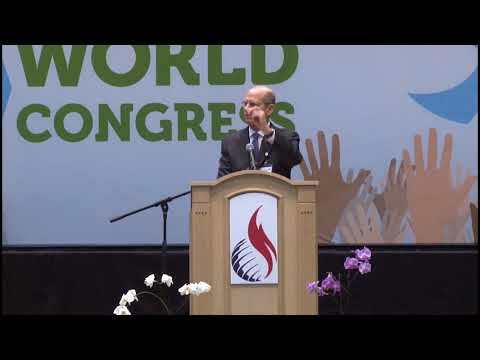 Dr. Rossell was a plenary speaker at the International Religious Liberty Association's 8th World Congress on Religious Freedom, August 22-24, 2017, Ft. Lauderdale, Florida. 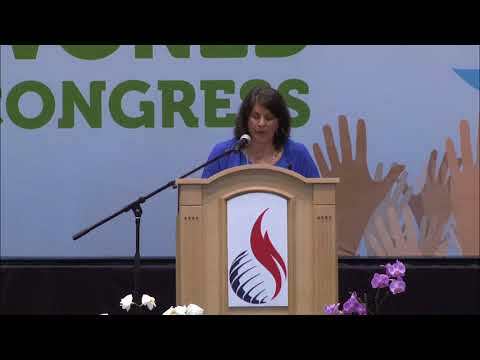 Tina Ramirez is Founder and President of Hardwired Global, an organization that develops indigenous leadership for the freedom of religion or belief. 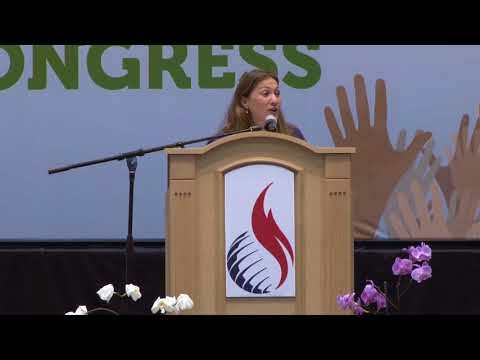 Ms. Ramirez was a plenary speaker at the International Religious Liberty Association's 8th World Congress on Religious Freedom, August 22-24, 2017, Ft. Lauderdale, Florida. 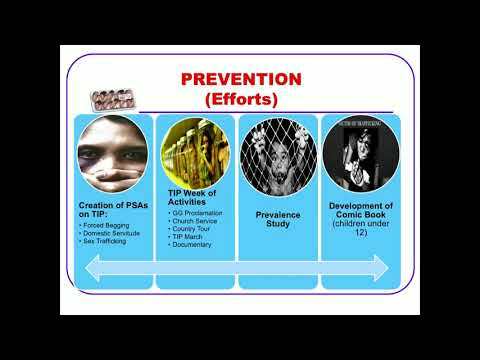 Carol Palmer is Permanent Secretary at the Jamaican Ministry of Justice, and Chairperson of the National Task Force Against Trafficking in Persons. Ms. Palmer was a plenary speaker at the International Religious Liberty Association's 8th World Congress on Religious Freedom, August 22-24, 2017, Ft. Lauderdale, Florida. 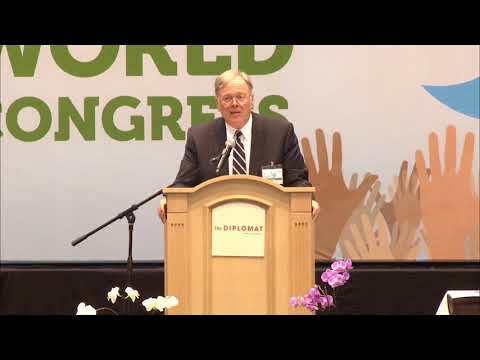 Ambassador John R. Nay is president of the International Religious Liberty Association. He formerly served as US Ambassador to the Republic of Suriname. Throughout his career with the US Foreign Service, Ambassador Nay sought to advance the cause of religious freedom and human rights. He spoke at the opening ceremony of the IRLA's 8th World Congress for Religious Freedom, August 22-24, 2017, Ft. Lauderdale, Florida. Rosa Maria Martinez de Codes is Professor of American History at the University Complutense in Madrid, Spain. She served as Vice Director of Religious Freedom at the Spanish Ministry of Justice from 1996 to 2002 and currently services as Vice President of the International Religious Liberty Association. 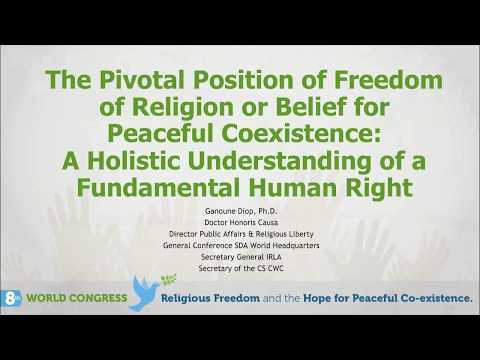 Dr. Martinez de Codes was a plenary speaker at the IRLA's 8th World Congress on Religious Freedom, August 22-24, 2017, in Ft. Lauderdale, Florida. 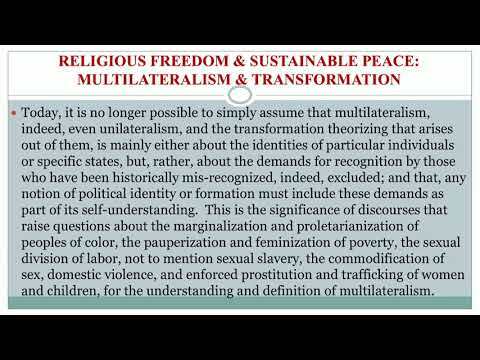 Dr. David Little is retired Professor of the Practice in Religion, Ethnicity and International Conflict at Harvard Divinity School, and was an Associate at the Weatherhead Center for International Affairs at Harvard University. He is now a fellow at the Berkley Center for Religion, Peace, and International Affairs at Georgetown University. Dr. Little was a plenary presenter at the IRLA's 8th World Congress on Religious Freedom, August 22-24, 2017, in Ft. Lauderdale, Florida. Damaris Dias Moura Kuo is a lawyer specializing in fundamental rights who has worked for the past 15 years as an advocate for religious freedom in Brazil. She is a founding member and, for the past 10 years, president of the first Rights and Religious Freedom Commission of the Brazilian Bar Association. Ms. Kuo was a plenary presenter at the International Religious Liberty Association's 8th World Congress for Religious Freedom in Ft. Lauderdale, Florida, August 22-24, 2017. 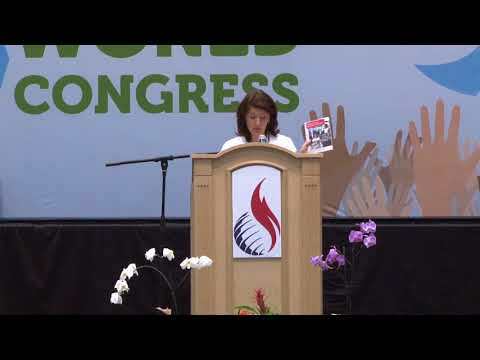 Elizabeta Kitanovic spoke at the 8th World Congress for Religious Freedom in Hollywood, Florida, held August 22-24, 2017. 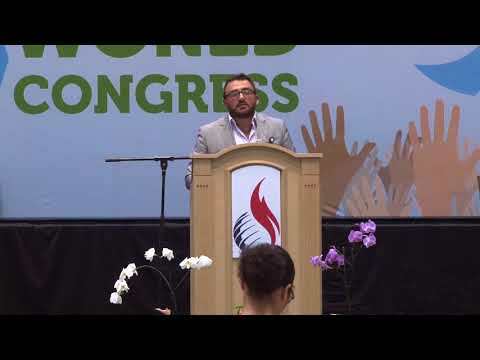 Dr. Kitanovic is Executive Secretary for Human Rights and Communication, of the Conference of European Churches. 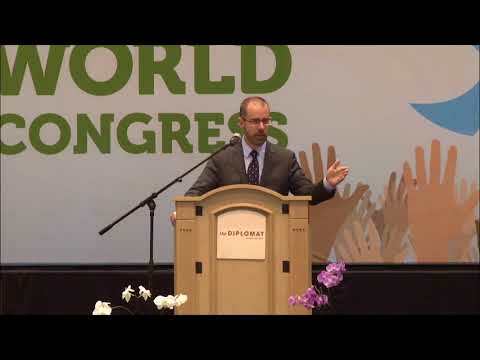 Jeremy Gunn spoke at the 8th World Congress for Religious Freedom in Hollywood, Florida, held August 22-24, 2017. 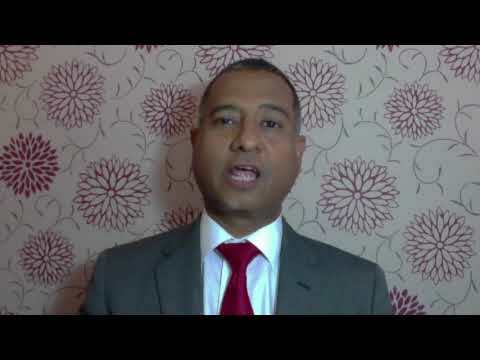 Dr. Gunn is Professor of Law and Political Science, Universite Internationale de Rabat, Morocco. 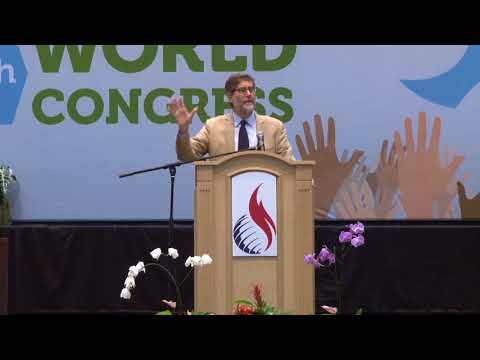 Brian Grim spoke at the 8th World Congress for Religious Freedom in Hollywood, Florida, held August 22-24, 2017. Dr. 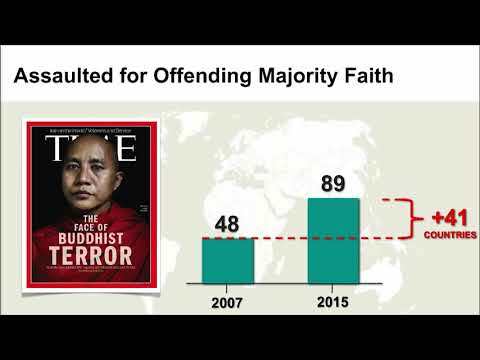 Grim is the founder and president of the Annapolis, Maryland-based Religious Freedom & Business Foundation, and a leading expert on international religious demography and the socio-economic impact of restrictions on religious freedom. 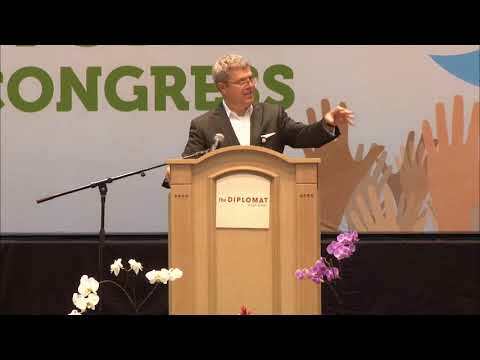 Dr. John Graz is the Founder and Director of the International Center for Public Affairs and Religious Freedom at the Adventist Campus in Collonges-sous-Saleve, France. 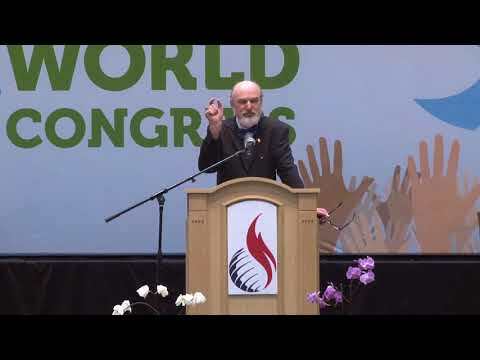 He spoke at the 8th World Congress for Religious Freedom held August 22-24, 2017, in Hollywood, Florida. Dr. Timothy Golden is Professor of History and Philosophy and Director of Walla Walla University's new Donald Blake Center for the Study of Race, Ethnicity and Culture. Rev. 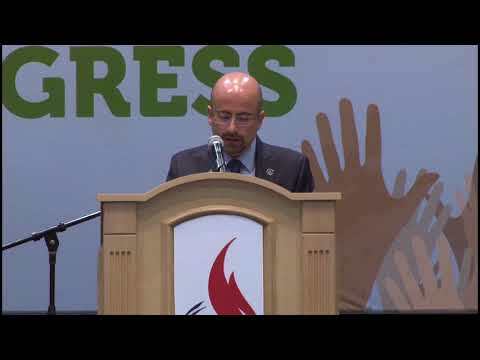 César García is General Secretary of the Mennonite World Communion, and he spoke at the IRLA's 8th World Congress for Religious Freedom in Hollywood, Florida. 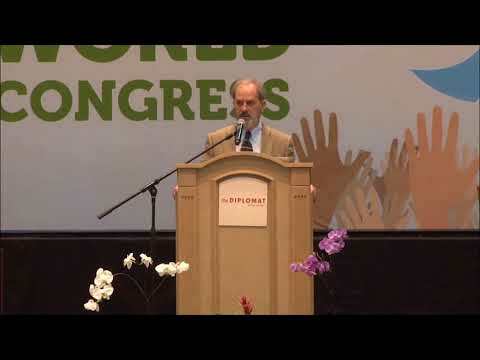 Richard Foltin spoke at the 8th World Congress for Religious Freedom, held August 22-24, 2017, in Hollywood, Florida. Mr. Foltin is Director of National and Legislative Affairs in American Jewish Committee's Office of Government and International Affairs in Washington, D.C. Professor Dr. Durham spoke at the 8th World Congress for Religious Freedom, held August 22-24, 2017, in Hollywood, Florida. 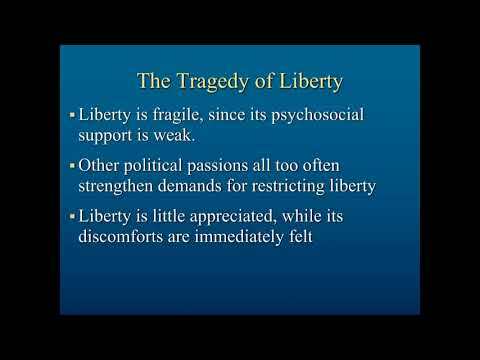 Professor Durham is the Susa Young Gates University Professor of Law at Brigham Young University, and is Founding Director of the International Center for Law and Religion Studies. 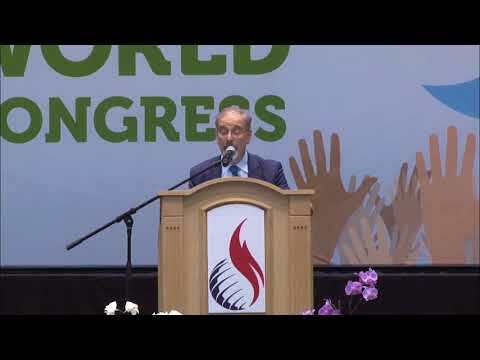 Karnik Doukmetzian spoke at the 8th World Congress for Religious Freedom in Hollywood, Florida, held August 22-24, 2017. 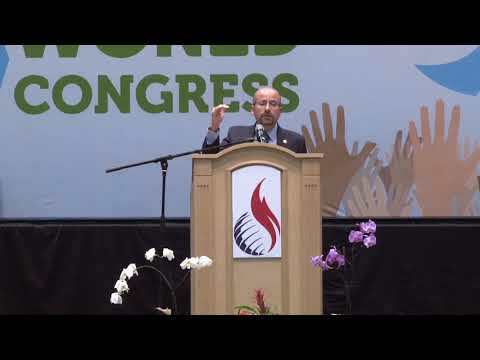 Mr. Doukmetzian is a vice president of the International Religious Liberty Association and is General Counsel for the Seventh-day Adventist world church. Dr. Ganoune Diop speaking at the opening session of the 8th IRLA World Congress for Religious Freedom. This presentation includes his report on the activities of the IRLA, along with a keynote presentation. Dr. Diop is General Secretary of the International Religious Liberty Association and Director of Public Affairs and Religious Liberty for the Seventh-day Adventist World Church. The Rev. 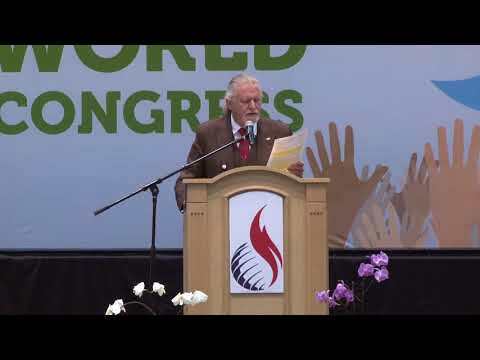 Dr. Prof. James Christie spoke at the 8th World Congress for Religious Freedom, held August 22-24, 2017, in Hollywood, Florida. Dr. Christie is Professor of Whole World Ecumenism and Dialogue Theology in the United Centre for Theological Studies at the University of Winnipeg. Dr. Blandine Chelini-Pont spoke at the 8th World Congress for Religious Freedom, held August 22-24, 2017, in Hollywood, Florida. Dr. Chelini-Pont is Professor of Contemporary History, Law and Religion at Aix-Marseille University, France. 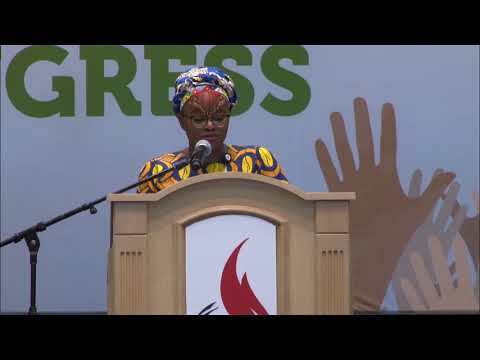 Jabulile Buthelezi spoke at the 8th World Congress for Religious Freedom, August 2-24, 2017, in Hollywood, Florida. Ms. Buthelezi is a social activitist and communicator from South Africa. 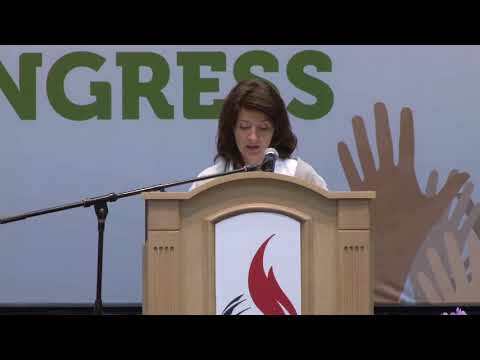 Dr. Ana Maria Celis Brunet spoke at the 8th World Congress for Religious Freedom, held August 22-24, 2017, in Hollywood, Florida. Dr. Brunet is Professor in the Faculty of Law of the Pontifical Catholic University of Chile. The Rev. 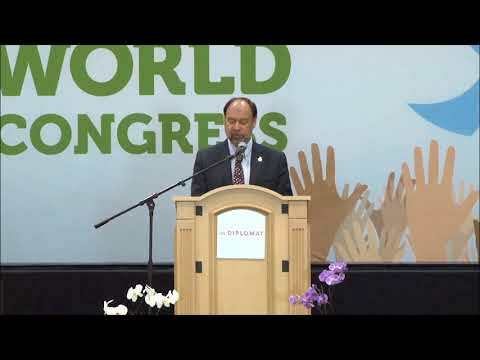 Dr. Liberato C. Bautista spoke at the 8th World Congress for Religious Freedom, held August 22-24, 2017, in Hollywood, Florida. Dr. Bautista is Assistant General Secretary — UN and International Affairs & Main UN Representative, General Board of Church and Society of The United Methodist Church. Dr. Andrea Bartoli speaking at the 8th World Congress for Religious Freedom, August 2-24, 2017, in Hollywood, Florida. Dr. Bartoli is the Dean of the School of Diplomacy and International Relations at Seton Hall University. 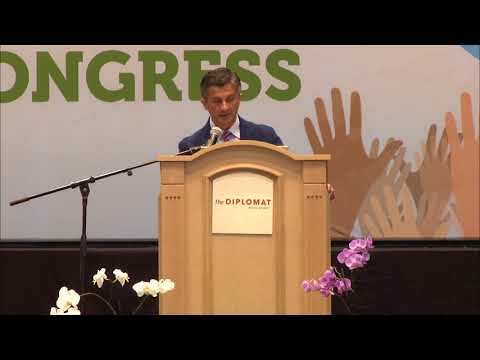 Pasquale Annicchino spoke at the 8th World Congress for Religious Freedom, August 2-24, 2017, in Hollywood, Florida. Dr. Annicchino is a research fellow at the Robert Schuman Centre for Advanced Studies at the European University Institute in Florence, Italy.